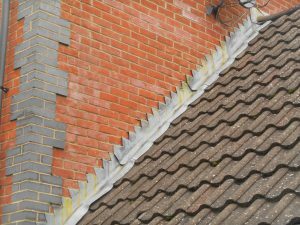 Whilst inspecting a modern house in Redhill, Surrey we noticed the lead work between the garage roof and the main house was pulling away. There is no evidence of weep holes, which would indicate that there is no cavity tray installed. This is poor detailing and could lead to water penetration.